Optics @ Martinos is a group of research labs united by a shared interest in the development of novel pre-clinical and clinical optical technologies to explore multiple facets of physiology and its pathological alterations in preclinical, translational and clinical settings. We have complementary expertise in several areas of biophotonics, spanning a multitude of domains, from the microscopic (laser-scanning single and multi-photon microscopy, optical coherence tomography) to the mesoscopic (laser speckle contrast imaging, optical intrinsic signal imaging) and macroscopic (near infrared spectroscopy, diffuse correlation spectroscopy, intrinsic contrast and fluoresce optical tomography). 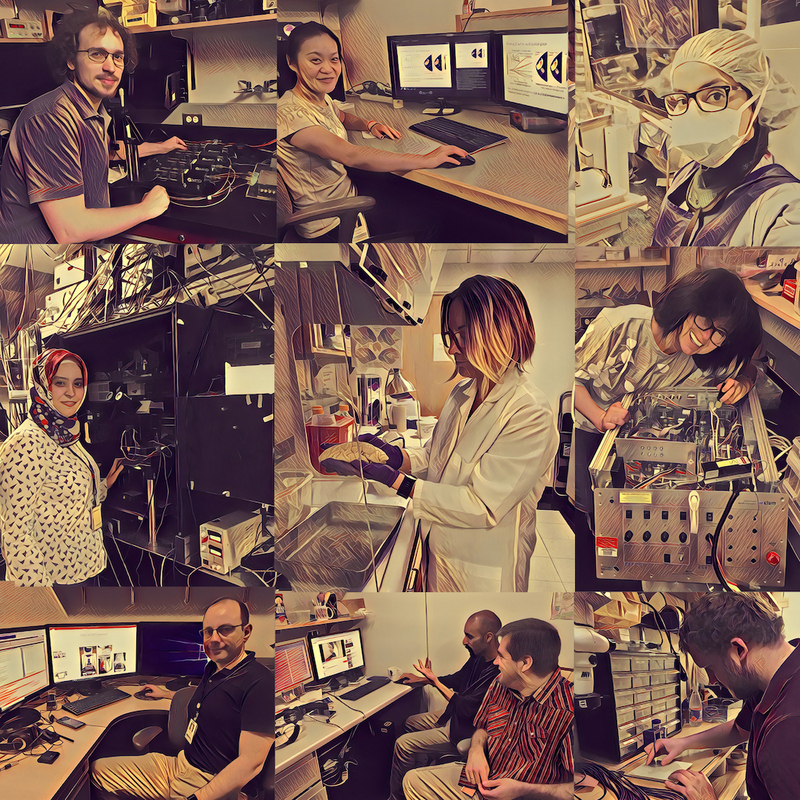 Our group has pioneered technologies for fNIRS, clinical bedside neuromonitoring, speckle imaging/diffuse correlation spectroscopy, mapping cerebral oxygenation and blood flow, vascular angiography, breast cancer imaging and optical molecular imaging. We have also synergistically integrated optical methods with MR and X-ray based imaging, as well as electrophysiology and EEG. Our research is highly collaborative both internally and externally. We foster productive partnerships with researchers and physicians both within the Martinos Center and within MGH at large, as well as with other academic and medical institutions in the Boston area and beyond. Our goal is to translate basic research to practical, clinical applications. To this aim over the years we have teamed up with industrial partners to commercialize our technology. We are constantly expanding our patent portfolio, which include licensed patents and patents available for license. Our group has a strong track record of training students and postdoctoral fellows, many of whom have developed their own academic careers. We also seek to disseminate our technology through course offerings, establishing core resources and sharing open source software through our website.